Known as one of the most creative and innovative cities in the nation, be prepared for delectable surprises when it comes to Rochester, NY&apos;s specialties in food and drink! As the nation&apos;s first frontier, Rochester drew settlers from around the world, and they brought their recipes with them. More than 200 years later, the region is a smorgasbord of traditional and contemporary cuisines, and diverse ethnic flavors. Our inspired chefs take advantage of the region&apos;s fresh produce, working with local farms to create farm-to-table dishes. Vegetables picked at dawn can be on your plate by lunch. Savor wines produced by Finger Lakes vineyards with award- winning vintages that are among the best in the world. 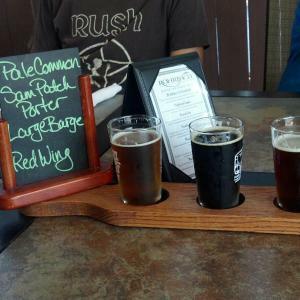 Or taste the old-time brews or up-and-coming craft brews that make the area a stand-out. Charming cafés, informal bistros, upscale fine dining, neighborhood pubs,kid-friendly hometown chains - whatever your taste, Rochester is a treat to the palate. 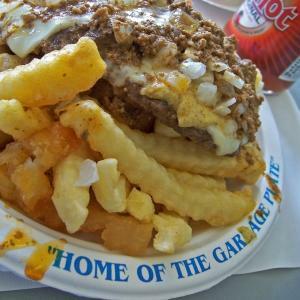 The Food Channel has made several trips to Rochester to feature local specialties. Let&apos;s start with a little local Rochester grocery that grew into 80 legendary stores all over the Northeast: It&apos;s Wegmans! The Food Channel called it the "Grocery Store Chain That Most Changed the Way We Shop." And, Wegmans was ranked the No. 1 supermarket in the country by customers in the latest Consumer Reports survey. 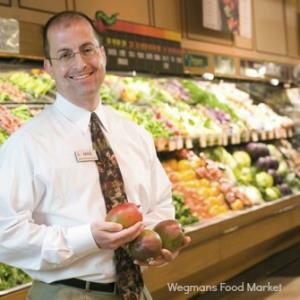 Get ready for a unique shopping experience - Wegmans flagship Pittsford store is a one-stop food emporium like no other. Some call this the ultimate grocery store. How do you describe a family-owned chain that has its own cooking magazine, not to mention its own organic farm in the Finger Lakes? Wandering its aisles can be like a stroll through the world&apos;s street markets. Pick up treats to take back to your hotel room - or eat right there. Wegmans has enough prepared foods, and seating areas, to be one of the region&apos;s best places for lunch or dinner. Looking for a restuarant experience, they have that too, at the Next Door Bar and Grill, just across the street from the Pittsford store. Zweigle&apos;s "white hot" is a hot dog like no other. 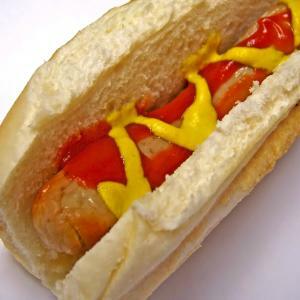 Zweigle&apos;s has been making this concoction of spiced beef, pork and veal since 1880, along with all-beef hotdogs, deli meats and sausages, including several chicken varieties. Rochester has been home to Zweigle&apos;s since 1880. Once people get a taste for them, it&apos;s not unusual to find white hots packed in freezer coolers, on their way to snowbirds and fans in other states. Do you love Chicken French ? It was invented here! It&apos;s an old Rochester recipe using an egg-based batter and a lemon-tinged sauce. Since then, its popularity grew to create recipes spun off into "French-style" seafood and vegetables - particularly artichokes. Yum. A lovely 40 minute drive southeast of Rochester will take you to the Finger Lakes, where grape pie has gained fame over the last 50 years, baked by local "pie ladies." Don&apos;t think for a moment that we forget the pleasure of an exquisite meal created by talented chefs andserved in a sophisticated setting. If you love fine dining, the region is full of opportunities to savor the creations offered by restaurants such as Char at Strathallan, the Erie Grill at the Del Monte Lodge, Good Luck restaurant (in three seasons, fresh produce is picked after dawn on local farms and on the lunch menu that day), The Park Avenue Pub, and TRATA. Farther south in the Finger Lakes, indulge yourself at Belhurst Castle or Geneva on the Lake. See a more complete list of area restaurants on our Eat & Drink page. 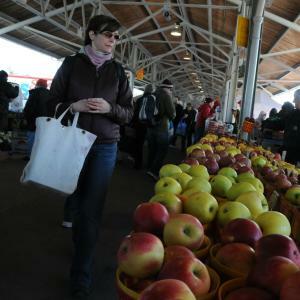 The Rochester Public Market was voted America&apos;s Favorite Farmer&apos;s Market 2010 and named one of the best public markets in the United States. Visitors love to grab a coffee and soak in the atmosphere at this enormously popular market, outdoors in three seasons, and indoors during the winter. You&apos;ll find fresh produce, of course, but so much more - cheeses, wines, ethnic foods, baked goods ... (including the best empanadas in town!). There are all sorts of local farmers markets from May to October, some of which continue indoors year round. Some farms also have year-round stores or delivery services. The region&apos;s freshest foods are brought in from the fertile farmlands surrounding the area - produce, meats, honey, eggs, breads and more. Find them in the urban South Wedge, suburbs or the Finger Lakes. Take a drive around our gorgeous countryside and you&apos;ll find small farm markets, roadside farm stands, and U-Pick farms (a fun activity for families). It doesn&apos;t get any fresher than this - produce for sale just steps from where it&apos;s grown! Mouth-watering local honey. Grass fed meats. Gourmet jellies from the wineries of the Finger Lakes. We&apos;re big on special mustards, too. Artisanal cheeses. Organic granola. The list goes on. 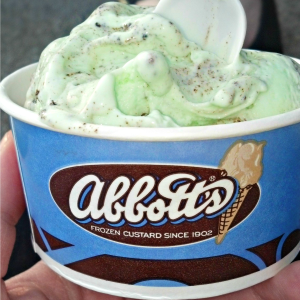 Get ready to discover a creamy piece of heaven: Abbott&apos;s Frozen Custard. People have been lining up for this famous custard ice cream for more than a century. This award-winning frozen custard is made fresh every day in each company and franchise store. Stever&apos;s is a Park Avenue institution that has produced homemade candy since 1946. Back then, it was a neighborhood candy shop and a favorite for stocking up on chocolate bunnies and fancy chocolate eggs at Eastertime. 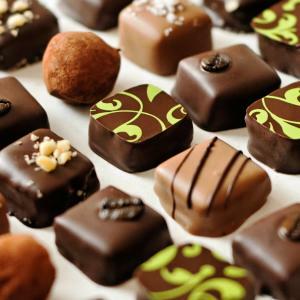 The quality of their handmade, fresh chocolates won generations of loyal customers. They still make bunnies and eggs, but the choices in the shop now are dazzling. Plan to spend a little time when you visit Stever&apos;s - it&apos;s hard to make up your mind. The New York Times says Hedonist Artisan Chocolates salted caramels "are some of the best in the nation." Or maybe you&apos;d prefer gourmet truffles, pistachio ginger bark and other chocolate treats at its South Wedge location. There&apos;s a decadent variety of treats to choose from, or try the bittersweet drinking chocolate. Our wine country - "the Sonoma of the East"
Every good area restaurant has a wine list selection featuring New York State wines - the country&apos;s third largest wine producing state. 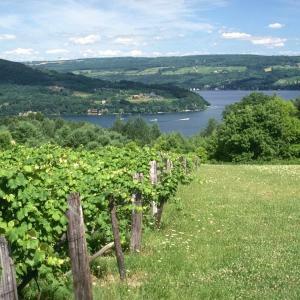 Just south of Rochester, the Finger Lakes area is the state&apos;s central wine region. The pure, sparkling glacial lakes are surrounded by gentle hillsides with their own micro-climate -- perfect for growing grapes - and the area&apos;s Rieslings have gained a world-class reputation with multiple gold medals. In fact, The Riesling Festival, held in beautiful Canandaigua, is devoted to them. See why we&apos;re being called "the Sonoma of the East." The Finger Lakes, dotted with more than 100 wineries, boast several wine trails that lead to a rich array of tours and tastings. Wineries are also sprouting up all along Lake Ontario. Don&apos;t miss a visit to The New York Wine and Culinary Center at Canandaigua Lake, celebrating and showcasing New York&apos;s finest in wine, craft beer, food and agriculture. You can taste and enjoy wine and beer from all over New York in the tasting room, take a cooking class with top chefs in state-of-the-art kitchens, learn about pairings - or just indulge in a great meal (made with New York State foods, of course) in the delightful Upstairs Bistro. The award-winning vineyard and pioneer winery Casa Largais just 15 minutes south of downtown by car from downtown Rochester. For 35 years, the Colaruotolo family has been committed to producing superior, award winning wines reminiscent of wines produced by their family&apos;s vineyard in Italy. Casa Larga celebrates NYS ice wines made in the traditional German Eis Wein method from grapes frozen on the vines. Their Fiori Vidal Ice Wine is the most awarded Ice Wine in the U.S. and is the "World&apos;s Best Dessert Wine", having won the Trophy for Best Dessert Wine at the 2008 International Wine & Spirits Competition in London. Casa Larga also hosts the annual New York Ice Wine and Culinary Festival in February. There are plenty of indoor and outdoor activities for visitors: food pairings, ice sculpting, barrel toasting, winery tours, seminars, horse-drawn wagon rides and specialty vendors. 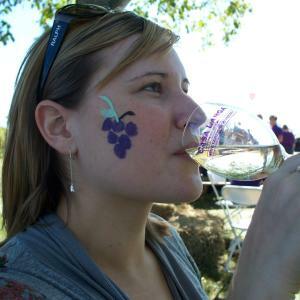 Or taste wine, stomp grapes, go on a scavenger hunt or a hayride and more at The Purple Foot Festival at Casa Larga. Leave the ‘same old&apos; drink behind and try a new cocktail with some of our locally distilled spirits. 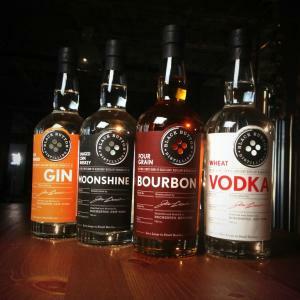 Area distilleries like Black Button Distilling and Finger Lakes Distilling produce more fine spirits than you may imagine - bourbons, whiskeys, grappa, vodkas and eau de vie. How good are they? The Upstairs Bistro at the New York Wine & Culinary Center says their Seneca Drums gin will match -- and better-- the best of any brand! There are wine lovers and then there are lovers of beer - and Rochester has plenty to keep beer fans happy. On the heels of the success of our region&apos;s wines, Rochester is developing a reputation for our brewers and their special craft. Whether brewed from hops, barley malt or wheat, our craft brews will give you plenty to explore and enjoy. Founded in 1878 in Rochester, the Genesee Brewing Company is one of the country&apos;s largest and oldest continually operating breweries. 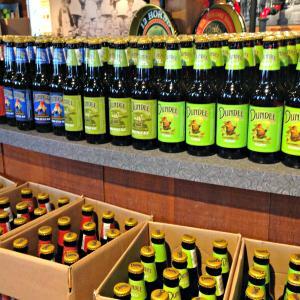 Sample the iconic Genesee Beer (a lager made from barley malt, corn grits and hops for the last 125 years), refreshing Genny Light, Genesee Bock Beer, and the original Genesee Cream Ale at the Genesee Brew House next to the brewery. Back in 1992, when John Urlaub opened Rohrbach&apos;s at the German House in Rochester&apos;s South Wedge Neighborhood, he and his team had all they could do to convince people to try his flavorful handcrafted ales and lagers. Since then, there&apos;s been a revolution in Rochester and across the country - and Rochester has always appreciated great beer! Twenty years later, Rorhbach&apos;s is busy brewing their handcrafted ales and lagers at their brewery at 97 Railroad Street - right next door to the historic Rochester Public Market. Stop in at the tasting room - between the market and the brewery, you may feel like you&apos;re in Europe! CB CraftBrewers brewery in the charming village of Honeoye Falls, NY supplies custom beers (like Jeremiah&apos;s Frog Grog and Distillery Scotch Ale) for area bars and restaurants. You can enjoy a meal and sample pints of their CB brand and artisan beers at the brewery&apos;s brewpub, the Pint & Goblet Tavern. There are free tours of the new enlarged brewery on Saturday and Sunday afternoons, and private tours are available on weekdays. And you&apos;ll only find these brews in the region. The brewery has no current plans to expand distribution out of NY State - CB CraftBrewers believes "Craft beer is best enjoyed fresh and in the backyard of the brewery where it was brewed." If you&apos;re here in October, check out the brewery&apos;s Festival of Ales, featuring 40 unique beers, music and a Chili Cookoff. 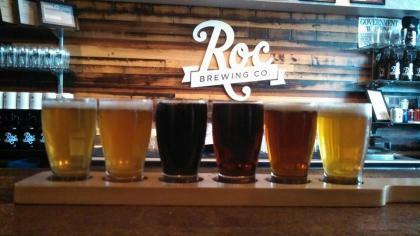 Roc Brewing Co. is one of Rochester’s original craft breweries. The team at Roc Brewing Co. focuses on creating consistent, high-quality beer made with the best ingredients. Beers are brewed in-house just behind its South Union Street tasting room located in the heart of downtown Rochester. With indoor and outdoor seating, Roc Brewing Co. is set up to serve pints, flights, and food made to order for groups, happy hours, everyday meet-up. Rochester&apos;s Food Truck Rodeo brings the city&apos;s eclectic array of mobile food stands together at the Rochester Public Market. The rodeo runs on the final Wednesday of each month, May through September. Just about everything and anything that&apos;s served from the back of a truck will be featured from food vendors -- including La Petit Poutine, The Sammich Guy, Cheese & Confused, Potatoes to Go ... and many more! Rohrbach Brewing Company provides the beer! Do we love food and drink here? No doubt about it. In fact, Rochester and the surrounding area have more than 20 festivals -several of them featuring ethnic food: Ukranian, Caribbean, Puerto Rican, and German. 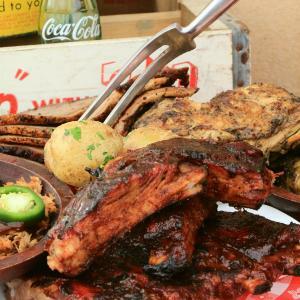 We celebrate BBQ ribs! We even celebrate sauerkraut in the cabbage-growing region of the Finger Lakes (hey, the Food Channel has been there, too!). Bring your appetite. Come thirsty. Get ready to relax and enjoy. Rochester is waiting to serve you. Staying Downtown? See our digital downtown restaurant guide.